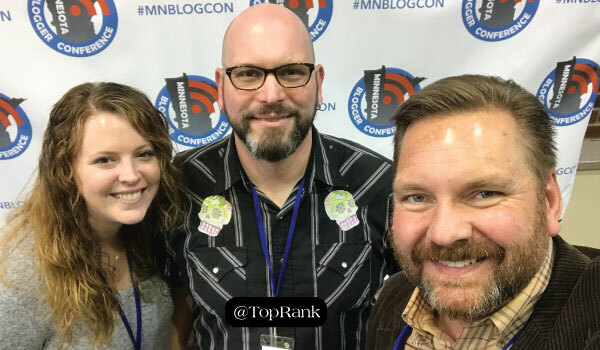 TopRank Marketing’s Joshua Nite made his debut on the speaker circuit this past weekend at the 8th annual Minnesota Blogger Conference held at Concordia University in St. Paul. 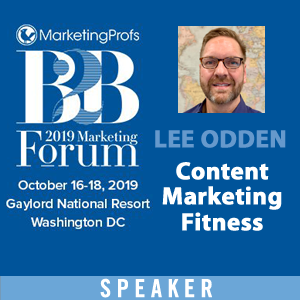 As someone who spent 12 years as a creative comedy writer for a video game called The Kingdom of Loathing, Josh said he was terrified by the concept of SEO-driven content when he made his transition into content marketing. “The worst content to write, and the worst content for people to read, was the stuff that [search engine] robots liked to read to most,” Josh said. But thankfully, search engines are getting smarter, using AI and machine learning to increasingly improve how they deliver the best results. As a result, content creators need to flip the script on how they craft content if they want to resonate with readers and robots. From Josh’s point of view, that means transitioning from SEO-driven content to content-driven SEO. How? Below is Josh’s five-step framework. From there, you need to identify your sweet spot. Your sweet spot is the intersection of: 1) Your brand’s expertise. 2) Your audience’s needs. 3) Your unique insights. Finally, leverage free and paid tools such as Google auto-complete, Google Keyword Planner, Quora, Answer The Public, and BuzzSumo to understand specific keyword topics that resonate most with your audience. Simply put, in order to beat out your competition, you need to know what they’re up to. Kick off your competitive research by simply “going incognito,” Josh said. An incognito search prevents your browser history or cache from impacting the results, giving you a more accurate picture of the search results surrounding your priority keyword topics. After popping in your keywords, scan the results for content gaps—gaps in quality, relevant, or helpful content. As you do this, look for opportunities to expand your keywords into long-tail variations, so you can get more specific and really let your niche expertise shine. Now the fun part comes. Using your topical and competitive research, outline your concepts and document your content mission (i.e. increase ranking for “X” keyword by 10 positions in one month). Then get to work on crafting your piece. #4 – A smattering of HTML. Title tags: This is the title searchers will see in the SERPs. Keep it to 600 pixels long so it doesn’t get truncated. In addition, aim to have the primary keyword near the beginning, as long as it makes sense. Header tags: Use H1 and H2 tags to organize your content to make it easy to scan for readers and robots. Meta description: From Josh’s perspective, this is the most overlooked, yet crucial part of SEO infrastructure. “This is your one shot to hook users,” he said. Keep it to 160 characters or less, include your target keyword if it makes sense, and state the clear benefit. So, keep an eye on your analytics. Is your content getting a good amount of impressions but not a ton of clicks? Consider refining the meta description a bit. Are you getting impressions and clicks, but the bounce rate is high? Your readers may feel like they’re not getting what they were promised or there’s no clear call to action to keep them on your site. So refine the meta description and craft a more compelling CTA. Again, you poured a lot of effort into getting this content published—so don’t let that effort be wasted. Always be on the lookout for opportunities to tweak the content and the SEO elements to improve its resonance. What does your creative content creation process look like? Tell us in the comments section below.